On the Cover: Interference between photoelectron wave packets (in momentum space) produced in the ionization of a helium atom by a pair of oppositely circularly polarized attosecond laser pulses that are time delayed. J. M. Ngoko Djiokap, S. X. Hu, L. B. Madsen, N. L. Manakov, A. V. Meremianin, and Anthony F. Starace. 2015. 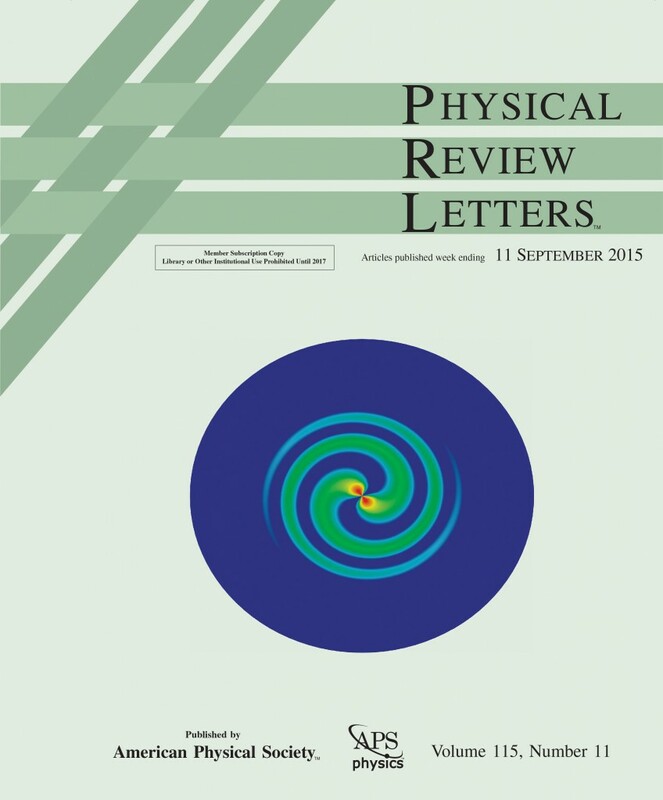 Electron Vortices in Photoionization by Circularly Polarized Attosecond Pulses. Physical Review Letters 115(11),113004. J. M. Ngoko Djiokap is a research assistant professor of Physics and Astronomy; Anthony F. Starace is the George Holmes University Professor of Physics.